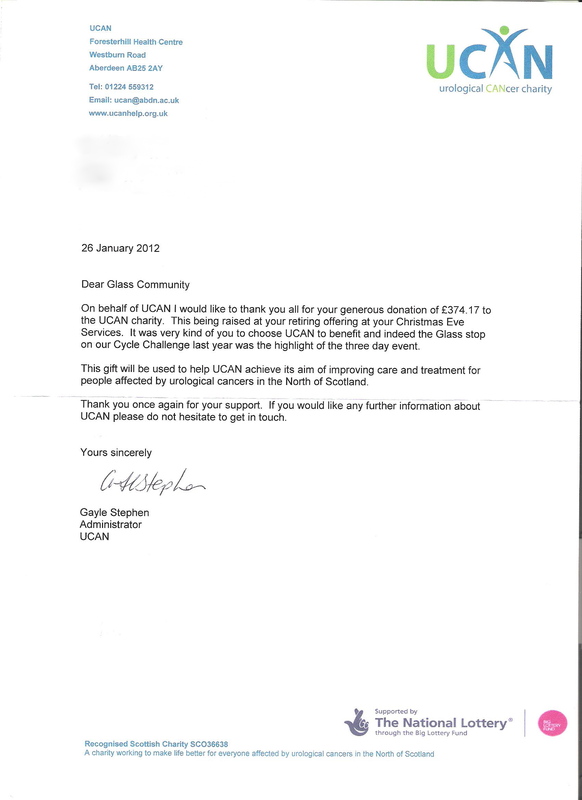 Some of you may recall the Ride the North event in the summer 2011 when UCAN volunteers parked their cycles at the Hall for a short break, with some refreshments provided by the Glass community, before the volunteers continued on their sponsored cycle ride. At our Christmas Eve service an offering was made for UCAN and the monies raised were passed on to the charity. Posted on 09/02/2012 by Glass Community Association.